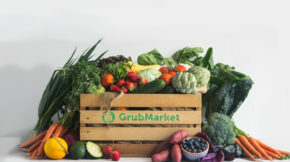 Whether it’s classics like basil, mint, and chives, or lesser-known delights like sorrel, chervil, and fenugreek greens, summer is the time to enjoy fresh herbs. These fragrant and complex leaves and blossoms not only complement seasonal salads and vegetables, they also provide a banquet of nutritional and medicinal benefits. Most culinary herbs contain a medicine chest of chemical compounds that improve digestion, lower blood pressure, balance blood sugar, calm inflammation and help prevent cancer. Though dried herbs, when properly stored and handled, retain many of these compounds, some are best obtained from fresh plants. 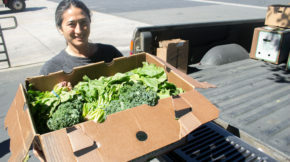 The chlorophyll in fresh green herbs acts as an antioxidant and detoxifier and protects against gastrointestinal cancers. 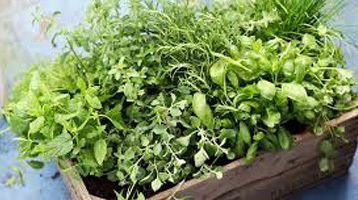 Most herbs, dried or fresh, are also concentrated, broad-spectrum sources of hard-to-find minerals. Here are four great herbs to enjoy in June as perfect complements to the summer veggies—tomatoes, green beans, eggplant, tomatillos, sweet corn, and okra—coming into season alongside them. Basil. A member of the mint family, basil shares the benefits of other mints as a digestive aid and mild sedative. The volatile oil, with its familiar snappy, clove-like aroma, relaxes the smooth muscle of the intestines, dilates small blood vessels, and exerts antibacterial activity. 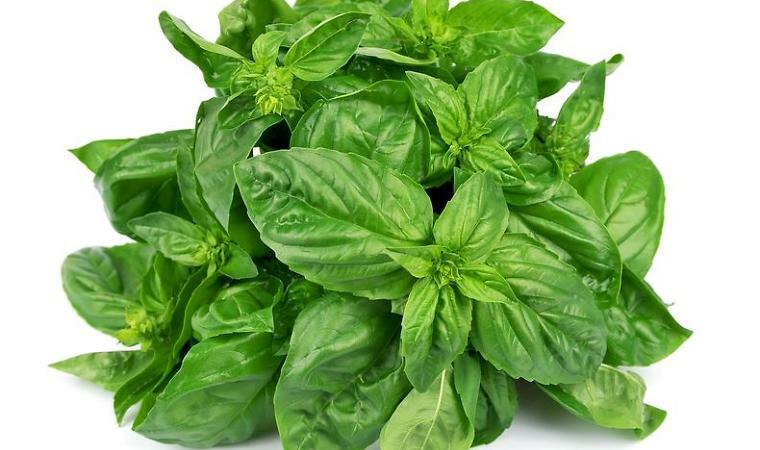 Basil also contains the flavonoids orientin and vicenin, which protect cells and chromosomes from damage, thus providing protection against cancer. Now you know why you feel so good after that pesto or Caprese salad. Squash blossoms. 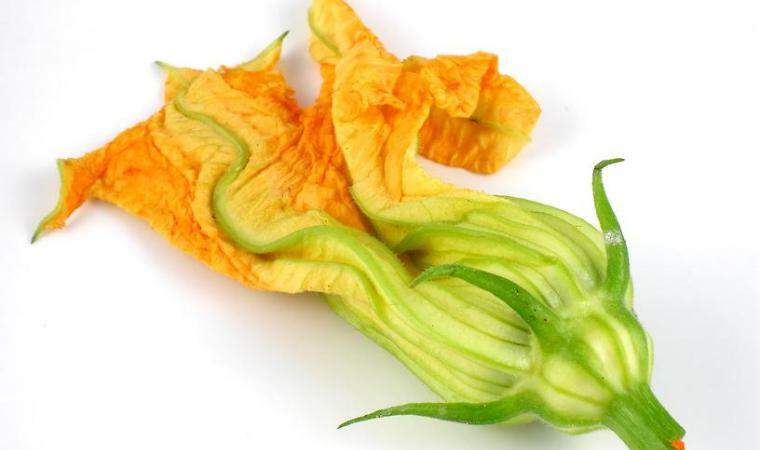 In addition adding a delicate beauty and texture to salads, as well as starring in traditional Italian dishes, squash blossoms provide calcium, iron, Vitamin C, and carotenoids (precursors to Vitamin A). The bright yellow pigment suggests the presence of anthocyanins, flavonoids with a wide spectrum of health benefits. Given their airy structure, squash blossoms are not especially nutrient-dense. But summer is the time for lighter, more digestible, lower-calorie foods, and the aesthetic joy of flowers, eaten or not, improves digestion and mental health. Chives. 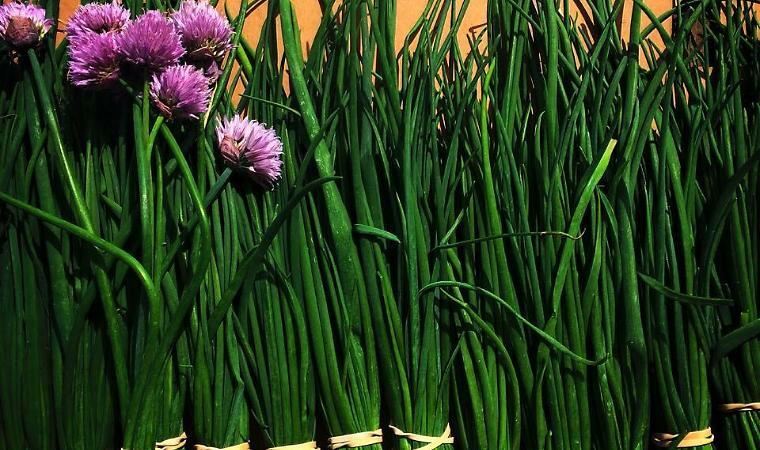 Chives are a member of the allium family, which includes onions and garlic. The organosulfur compounds that give the allium family its characteristic pungency confer anti-cancer and anti-clotting benefits. Chives also contain choline, a key nutrient for the nervous system and for the function of cell membranes, and folate, which lowers levels of the inflammatory compound homocysteine. Whereas in winter you might roast an onion for a warming, energy-dense experience (cooking does not destroy the organosulfur compounds), chives bring you the allium family’s benefits in summer form—light, green, cooling, and cleansing. Fenugreek greens. 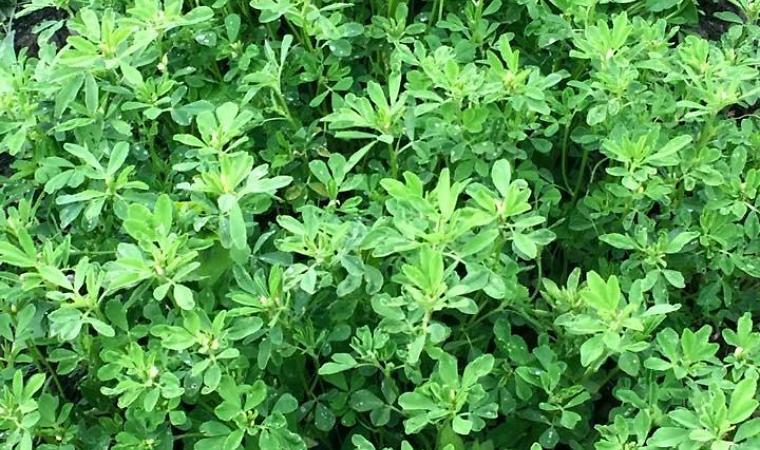 In the U.S. most people are familiar with fenugreek as a seed, but few know that the greens and sprouts can also be eaten. The fenugreek plant contains a particularly potent collection of biologically active compounds that aid digestion, balance blood sugar, calm pain, and modulate hormones and neurotransmitters.The seeds are known for promoting women’s health—easing lactation, childbirth, menstruation, and menopause—and can play a significant role in managing diabetes. The leaves are apparently less potent, but they are also simply less studied; they appear to confer some of the same benefits as the seeds and others of their own.In Ayurvedic medicine they are used to promote liver, lung, and gastrointestinal health. Each part of the plant has something distinctive to give, and there is something to be said for gentler, subtler dosing in a fresh green form.